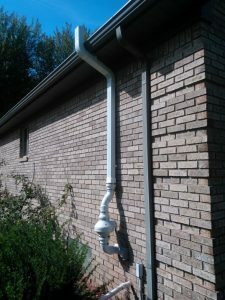 American Radon has been servicing the South-East Michigan area since 1996 and are your premiere radon solution company. About us What is Radon? We pretest, mitigate and post test our solution to ensure that the job is done right and you can breath easier. Please do not wait. Your health is as important to us as it is to you. At American Radon we customize each system to match the home. We take great pride in making our systems the most effective and inconspicuous possible. Every home is carefully examined to provide the best method for that individual home. When possible we route the Mitigation System through the garage, giving the homeowner a much more hidden option. If not possible to go through the garage, then we choose the most hidden location possible around the home. We custom tailor each and every solution to your home and make our system as inconspicuous as possible. Our number one goal is to enhance the quality of the air that your breathe within your home, for you and your family. We have been servicing south-east Michigan since 1996 and our post test results speak for themselves. Radon is a radioactive gas. It comes from the natural decay of uranium that is found in nearly all soils. It typically moves up through the ground to the air above and into your home through cracks and other holes in the foundation. Your home traps radon inside, where it can build up. Any home may have a radon problem. This means new and old homes, well sealed and drafty homes, and homes with or without basements. Radon from soil gas is the main cause of radon problems. 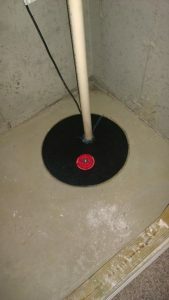 Sometimes radon enters the home through well water. In a small number of homes, the building materials can give off radon, too. However, building materials rarely cause radon problems by themselves. Nearly 1 out of every 15 homes in the U.S. is estimated to have elevated radon levels. Elevated levels of radon gas have been found in homes in your state. Contact your state radon office (https://www.epa.gov/radon/findinformation-about-local-radon-zones-and-state-contact-information) for general information about radon in your area. While radon problems may be more common in some areas, any home may have a problem. The only way to know about your home is to test. 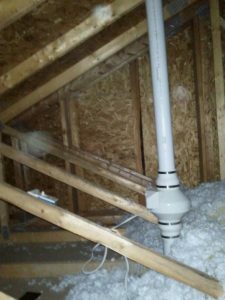 American radon provides full radon mitigation and testing services. We offer a customized experience to ensure that your Radon Solution fits your individual home. There is no way to know your Radon levels without testing. Fortunately there are simple and cost effective tests which can be done. We recommend testing the radon levels of any home you are planning to purchase. Many home inspectors offer this service as an add on option to there home inspection. If your inspector does not offer this service please ask your realtor, contact us, or visit WWW.RADONGAS.ORG for a tester in your area. 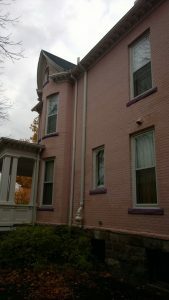 If you are a home owner who is interested in testing your own home you have several good options. Contact us to discuss these options. We can provide you with a test, or recommend a good testing company in your area. Many Hardware stores will carry home testing kits for Radon Gas, these kikts are from EPA certified labs and will typically cost anywhere from the $25-40.00 range once the kit is purchased and lab fees are paid. Many county health offices sell home test kits as well, these typically run $10.00 and include the lab fee. 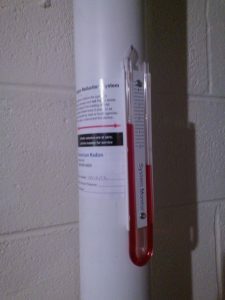 If you prefer to purchase online the site http://www.radon.com/sub/mi/ offers low cost test kits to Michigan residents. Please contact us if you ave any questions regarding testing or mitigation options. American Radon © 2018 All Rights Reserved.